1945 or 2015? 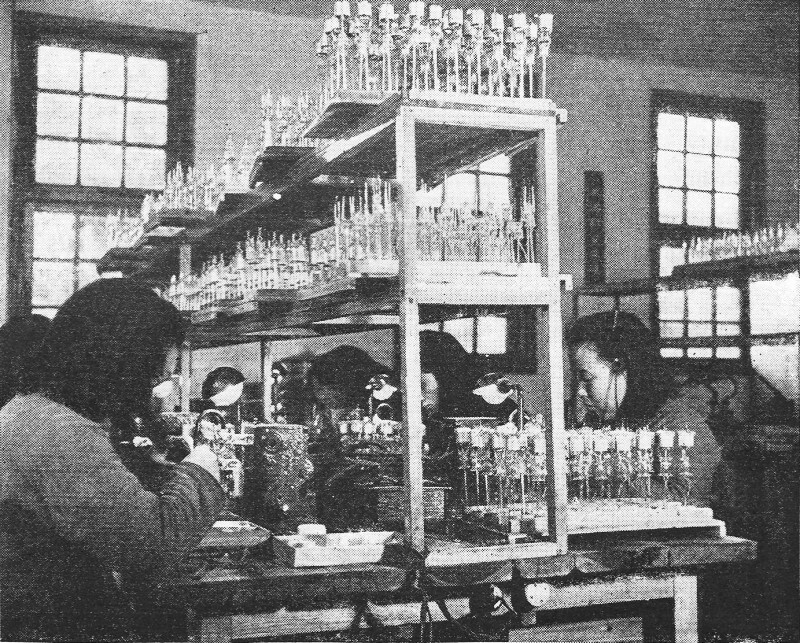 Seventy years have passed since this photo of a vacuum tube manufacturing facility in China was taken. 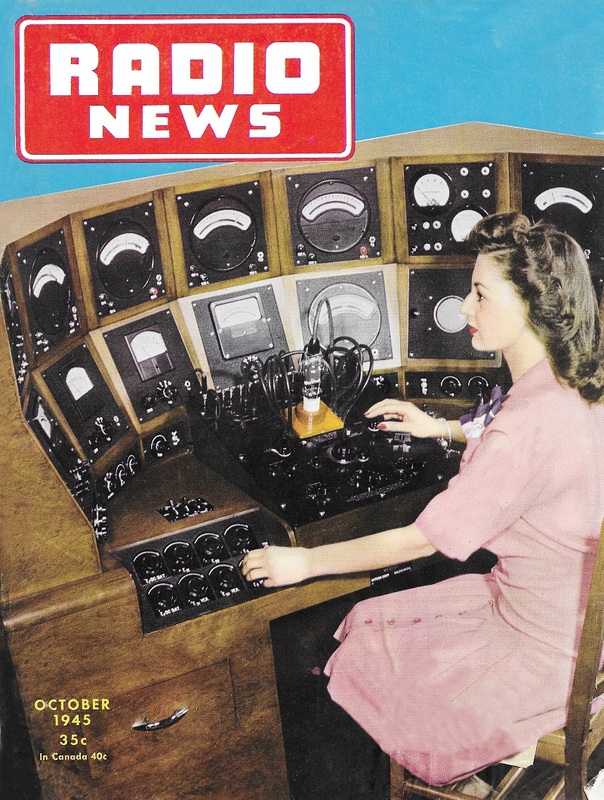 Given that most new vacuum tubes are made in China, and that the labor work conditions have not changed much in the intervening time period (except in high-profile plants like Foxconn where Apple products are made), this might very likely represent a modern day operation. BTW, most of the vacuum tubes not being made in China are made in Russia... to assure their antiquated infrastructure has an ample supple of replacement parts. I say that only partly in jest. The largest market for new vacuum tubes is music amplifier equipment and a few commercially made vintage radio replicas (like my Tesslor Model R601S). JJ Electronics vacuum tubes, manufactured in China, available new on Amazon. Golden Gate is another Chinese vacuum tube producer that sells on Amazon. Electro-Harmonix Russian vacuum tubes are also available on Amazon. Sovtek is another Russian vacuum tube manufacturer whose products are sold on Amazon. 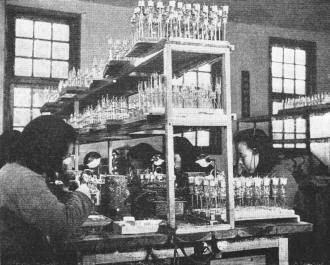 This picture (right) was taken in the battery factory of the Central Electric Works near Kweilin, China, before the Jap forces occupied the city. The photograph shows the rather crude method employed in the manufacture of radio tubes. Similar to American industries, girls do the intricate assembly work. The city of Kweilin was recently retaken by the Chinese forces. However, there is considerable doubt as to whether production at this plant has been resumed. The radio industry in China has always been rather crude. Chinese officials aware of this fact have recently made plans to adopt American production methods to facilitate expanding the radio industry in China. Provisions have been made to send a group of engineers to this country to study our production methods.